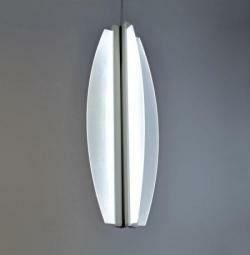 P-110 pendant with VX blade profile: A sleek and curvy profile is now available for the P-110 Vertical Core pendant. The new acrylic blades are edge lit with a concealed LED source and deliver more than 11,000 lumens with only 142 watts. Optional LED downlights are also available. 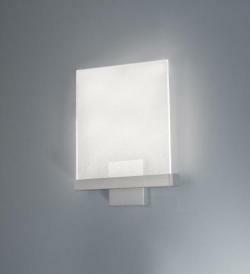 Blade sconce: The new Blade sconce showcases the Planar edge-lit technology with an elegant, straightforward design. Less than two inches deep, Blade illuminates a single piece of acrylic with 10 watts of LED.